Ormskirk is a market town in West Lancashire, not far from the northwest coast of England. With a population of approximately 25,000, there’s a good range of property in the area. This includes a selection of semi-detached and detached homes in pleasant neighbourhoods that are right on the doorstep of the surrounding countryside. At My Home Move Conveyancing we’ve been developing our knowledge of local markets like Ormskirk’s since 2001, allowing us to bring a market-leading conveyancing service to our clients in the area. When you buy or sell property in Ormskirk, you must instruct property lawyers to carry out the legal work on your behalf. 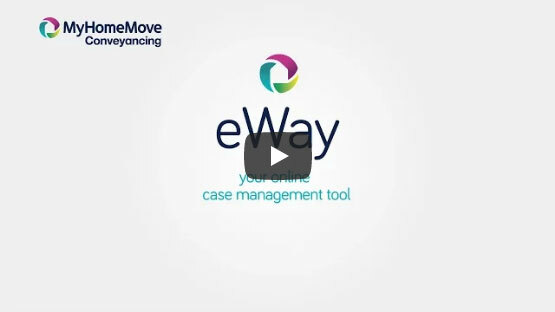 My Home Move Conveyancing offers our clients in Ormskirk an award winning level of customer service, innovative use of technology and intimate knowledge of the local market. Our conveyancing service is both professional and friendly, and comes with no hidden extra costs to worry about. You can budget for exactly how much you’re going to pay from the outset when we act as your Ormskirk conveyancers, and if you don’t end up completing for some reason, you won’t have to pay us anything in legal costs. We’ll assign you a dedicated conveyancer who’ll take care of all aspects of your case from start to finish, providing you with a consistent point of contact and regular updates on your progress. At My Home Move Conveyancing we get things right first time round, which helps us to achieve more completions per year than anyone else. We’re happy to provide our conveyancing services in Ormskirk to house hunters looking for homes close to the town centre, on the outskirts with great access to the surrounding countryside, and in neighbouring Aughton Park. The average house price in West Lancashire is £174,009, while in Ormskirk the overall average sale price during the last 12 months was £224,964. Most sales in this period involved semi-detached houses, which went for an average of £189,569, while detached properties fetched £357,068 and terraces £154,543. With a name originating in the Old Norse language, Ormskirk lies at the centre of the West Lancashire Plain and was laid out in the 13th century. The town’s held a regular market since medieval times, which helped it to become an important place for local farmers to trade. When the railway arrived in the middle of the 19th century, Ormskirk’s flourishing gingerbread market took off, as locals could sell their baked goods to passengers travelling through the station. The modern town still holds a market twice a week in the pedestrianised centre, while there are three main parks to enjoy as well as a number of other smaller open spaces and play areas. If you’re looking to send your children to school, local primary options include Ormskirk CofE, St Anne’s Catholic Primary and Ormskirk West End Primary, as well as highly rated Christ Church CofE and St Michael’s CofE in neighbouring Aughton. Ormskirk School is a secondary comprehensive which caters for children aged 11 to 18 on Wigan Road, while St Bede’s Catholic High is another option. For higher education, Edge Hill University lies in the southeast of town. Ormskirk has a great location in the North West, not far from from Liverpool, St Helens, Preston and Southport on the Irish Sea coast. Trains to Liverpool and Preston take around half an hour, while it takes around an hour and a half to get to Manchester. Ormskirk lies at the crossing of the A59 and A570, while the M58 passes to the south of town, leading to the M6 in the east. When it’s time to go on holiday, Liverpool John Lennon Airport is around 20 miles away, while it’s not too much further to Manchester Airport. All properties in Ormskirk will fall within one of the following council tax bands.